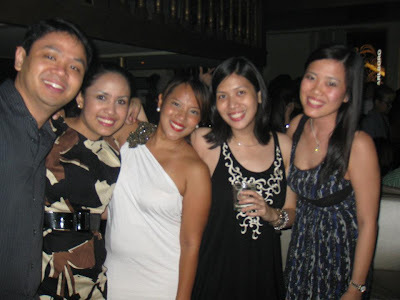 Before I became a Mahaderang Frog, my mantra in life has been a Donya by 30. I'm one and a half years away from that. What happens after I turn 30? I hide in a cave forever with my sagging skin and wrinkles... I kid! I really don't know what my goal will be after then but since I have a few more months to think about, let's just do the Donya by 30 for now. I don't really have a New Year's resolution and since both the normal(?) New Year and Chinese New Year have passed without me making resolutions, I have decided to make my resolutions pegged to my Donya by 30 goal. This is it! First thing on my list is, learn to put on make up. I have been putting this off since high school ever since my friend(You know who you are I am scarred for life! O.A.) told me I looked like someone punched me in the face a.k.a. I put on eye shadow. I have always described myself as a baklang kabayo (gay horse. Not that I really know what a gay horse looks like but I digress) when I put make up on. I have acknowledged that gravity and all that sun bathing will finally take a toll on my skin so I need to learn ASAP before I start looking unacceptable with a bare face. I'm taking matters in my own hands. I have enrolled in a make up class by Studio SnR. 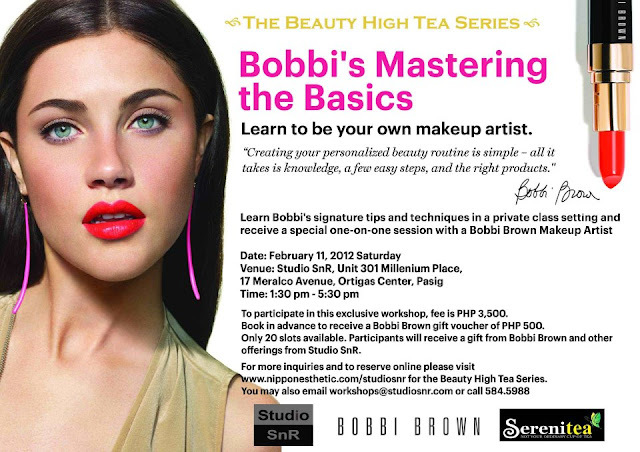 It's Bobbi's Mastering the Basics part of the Beauty High Tea Series. It's an intimate tutorial on how to put on make up. It will be held on February 11 from 1:30pm-5:30pm in Studio SnR, Ortigas Center, Pasig. Maybe after this, I'll put on more make up on a regular basis. Hihihihi.... Wish me luck! For more reservations, you can register online here. There are limited slots left! Hurry! Si Bubba. Mas flexitime siya, obviously... Hehe... But i love your make up on me too don't get me wrong! Congratulations Mr. and Mrs. Gonzalez!